Fung-Chiu Duo will present a master class following the concert on May 1, 2016 from 5:30-7:30 at Newmarket Theatre. This event is presented in partnership with the Ontario Registered Music Teachers Association, Newmarket and Area Branch. Details to follow shortly. VPAN was honoured to be nominated for the York Region Character Community Awards in 2015 in the Character Through the Arts Category. 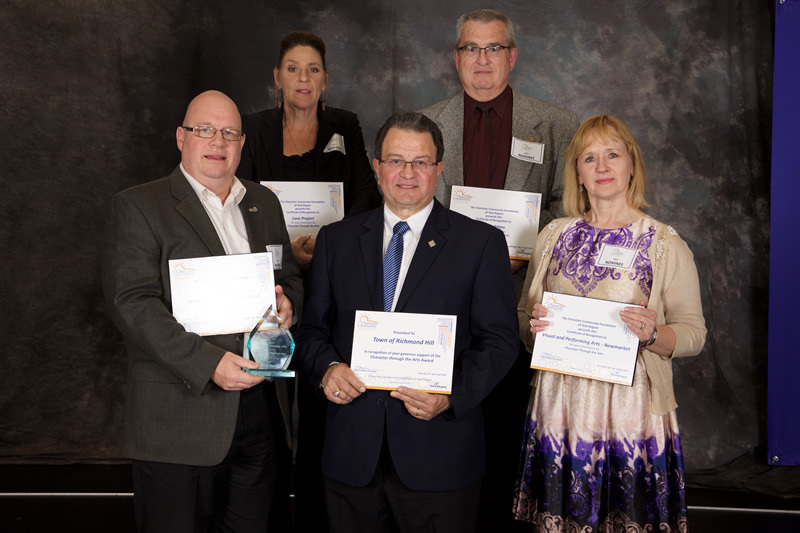 VPAN President Linda Condy accepted the nomination plaque with fellow nominees Anna Sousa, Dale Matsushige, The Love Project, Ron Robbins and the York Regional Police Youth Band. Company promotion in the Theatre lobby. Advertisement in our "Three for the Show" brochures. Complimentary tickets to concert performances. How do we find our artists? VPAN has an Artists Selection Committee which meets in the Fall and considers possible artists for the following year. We try to choose a variety of vocalists, instrumentalists, and choirs of high quality. A recent graduate of the Regional Arts Dance Program at Huron Heights, Jasmine Doucette is passionate about dance; of all the dance genres, ballet is her favourite. Pianist Harrison Jarvis has an impressive background for one so young. He has performed solo, with chamber groups, and with orchestras in well-known venues in both Canada and the U.S. 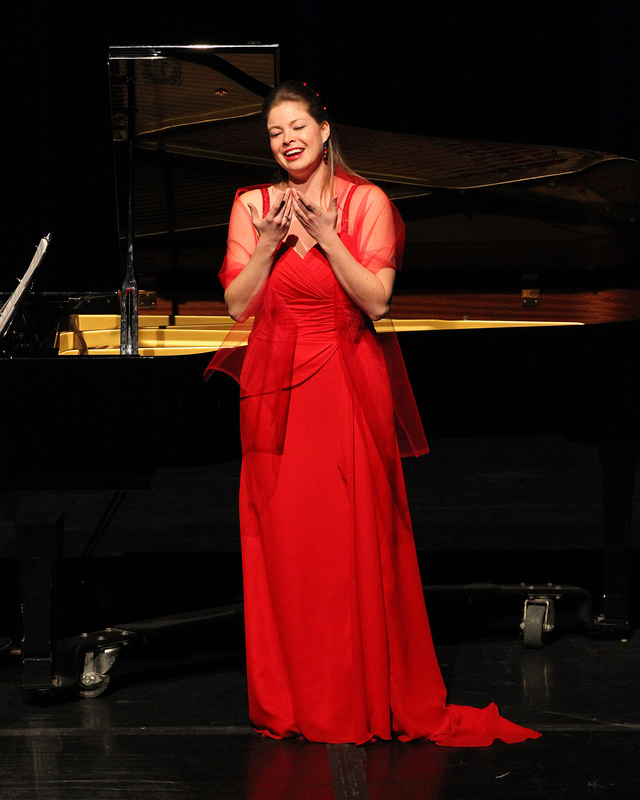 Soprano Karine White is an active and versatile artist who performs and teaches voice, dance and drama. 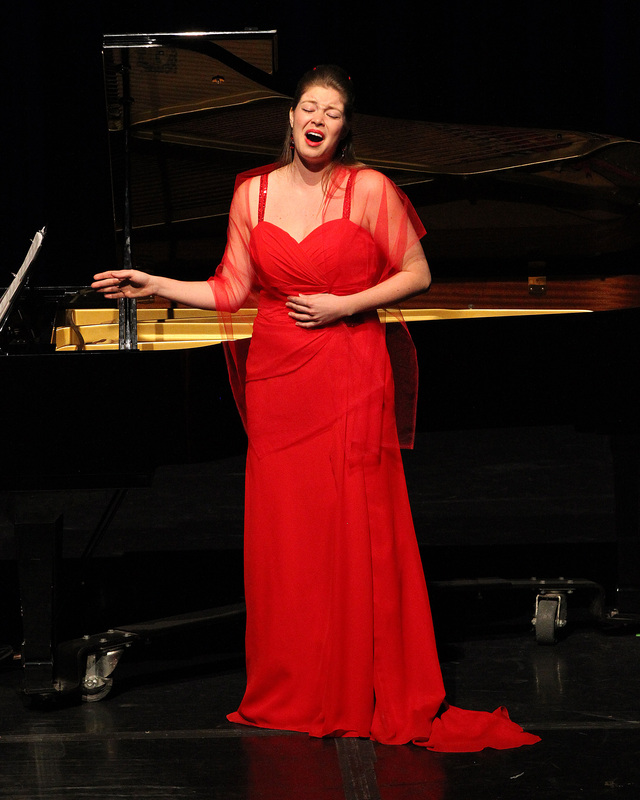 She especially loves opera, and has many opera roles to her credit. Bella Nove, translated to "Beautiful Nine" is a select group of young women formed from the private teaching studio of their director, Jennifer Neveu. They are an award winning ensemble who enjoy performing at various events throughout the Durham and York Regions as well as Music Festivals, at the local, provincial and national levels. They are proud to be multiple Silver and Gold Medal Winners at Music Fest Canada. Bella Nove is accompanied by the incomparable, Carol Gibson.